Like you, I’ve known hard days. For a while I even had a run of days that piled up into years. Poor health, awful health, nearly deadness, and then the fallout of the mess that is created from a person incapable of functioning. It doesn’t matter what the reason for the non-functioning is – what matters is that place you are in where you can’t seem to drag yourself out of misery. So what to do when you find yourself in that dark place? I found one thing that worked for me, and I absolutely believe it will work for you. It’s so simple that it may sound trite. But there is a power to this act that can transform lives. Shift your focus from everything that isn’t working in your life, and find the tiny details that are. Most of these will be present in your life, and accessible, no matter what your circumstances. They are always here, just waiting to be appreciated. The slant of sunlight through a window and how that makes rainbows dance on the carpet. A fragrant cup of Earl Grey tea first thing on a cold morning. Good coffee. The smell of rain on hot concrete. The rustle of wind in the tree tops. A smile. Birds supping nectar in the garden. Soft pillows. Clean sheets. Music that reminds you of wonderful memories, people and places. Favourite childhood books. Kindness. 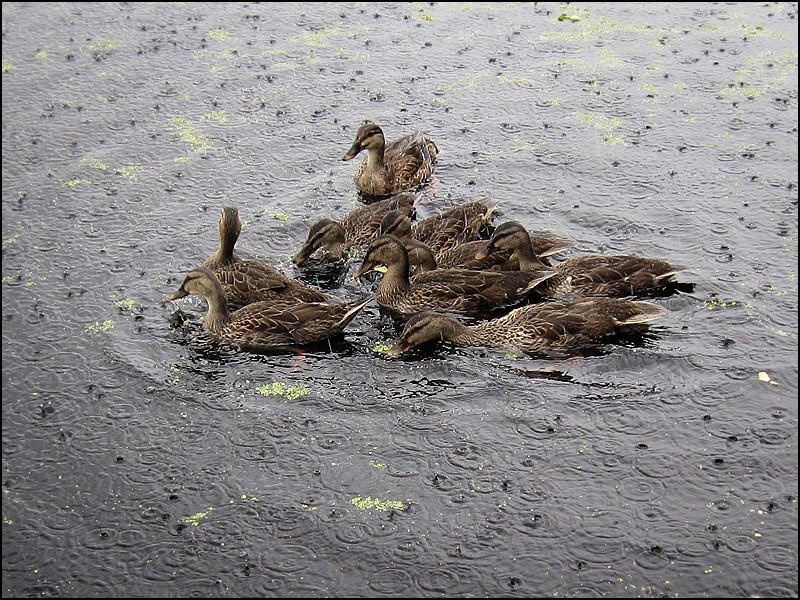 Ducks in the rain on our dam. Each day I still choose to embrace the small pleasures and details of life. This simple act of living mindfully gives my existence a richness that was lacking for many years, and gives me resilience to cope better with life’s turbulent waters. Thich Nhat Hanh explains the act of mindfulness very well. This entry was posted in Life and tagged burnout, chronic fatigue, depression, Gratitude, healing despair, illness, mindfulness by Cauldrons and Cupcakes. Bookmark the permalink. great post, you’v pinpointed the things that helped me get through my own tough times. Beautiful and valuable blog Nicole! Your words contain great wisdom, and wisdom that you so plainly live in your every day. 🙂 Gratitude brings its own blessings.